When they had to find a name for themselves, sixteen years ago, Plume was chosen by the founders of the circus "because it gave rise to less disagreement than the others". Since then it has made itself felt. In their performances, their themes and in their minds. On the stage and in the audience.  And if the angel "no fixed god" in their new show "Mélanges-Opéra Plume" loses his wings in the course of things, it is without doubt to suggest that the privilege of flight is more widely shared than it might seem. Monsieur Plume, Bernard Kudlak that is, forty-five years old, son of a Peugeot worker, from a Polish family who emigrated to the Franche-Comté in the 1920’s. If you are looking beginnings, he likes to evoke the showing of Tarkovski’s Andrei Roublev, at the lycée in Mulhouse. A revelation which, for him, cut the rumpus. But don’t talk to him about Montbéliard in the mid-seventies: "A hell". He says this for everyone: "The world was elsewhere. All possible elsewheres. And some of my friends lost their skins. The illusions of an extraordinary change were still present." He is a "sort of" chemistry student in Besançon. Enough to demonstrate his opposition to the army at the time of the Debré law. But the only party with which Bernard Kudlak and his own could identify then was a "sort of jazz" brass band. A good way to always be at the heart of the festivities. The "Bread and Puppet Theater" had had a profound effect on him. Between Woodstock and the Larzac demonstrations, shone the lights of the "Great Magic Circus" : "At last a carnal type of theatre, which gave body to the show." The clowning performers and their techniques convinced him. He chose juggling. A children’s book was all they had for getting the basics : "There weren’t even twenty of us interested in it at that time. Compared to ten thousand today." They take the leap : three of them (tight-rope, juggling and fire-eating), and take to the road for the first time "with the idea of going back to a "Captain Fracasse" type tradition, spreading their carpet in a new place every day". And it works. At the beginning of the eighties, they attend the "Falaise des fous" meeting, at a moment which was to prove to be a time of foundation : "All the embryonic forms of street performance and new circus are there." Bernard Kudlak and his companions are present at these "magical beginnings" when it is still possible to learn by doing. His wife, Brigitte Sepaser, walks the tight-rope while he juggles. It is called quite naturally Amour, jonglage et falbalas. In 1983, the Cirque Plume is born. It has its big-top and its truck. The equipment is not officially approved. On its last legs. An unexpected subsidy from the Regional Council makes it possible for them to take off. They do everything : from artistic performance to mechanics. "Even the magic of pushing carts in the mud got us excited." There isn’t a village which doesn’t turn out for them. Szekely, the sculptor, lends them objects, Yyes Perton, the photographer begins to follow them : "The idea of the circus as something global was already there." In 1986 they pass the test of Avignon with flying colours. Four spectators the first night, eight the second, and a few more each day. Contracts follow. The "signs of growth" are witnessed in the hiring of a technical director, an administrator, and the circus registers which had been lacking. They have become employers. And meet with their first conflicts. "We represent history, as founders of the movement. Our ideas about circus haven’t changed. They come from a time in which the myth of the circus was more real than its reality. Things were ripe for change. In the seventies, there was a demand for popular art. Through the old veterans of education for all, we were coming to the ideal of Vilar. We are their successors, in claiming to be a public service circus. Even if we are 87% self-financed. It is important to have spaces where the people can come together to share. All the more so when social and cultural segregation is still so great in France. We need shows that can cross through the partitions." Then the big-tops get bigger, children are born, the caravans get more comfortable. With forty permanent members, Plume is still in Plume, even if Bernard Kudlak no longer performs. With the circus, they still want to go higher, better, faster, and with Plume, more deeply, more softly and more slowly. The band’s music still accompanies their poetic universe : "In the construction phase, it is the act of building which counts for me, not narration. Each sequence is as important as the whole. And the resonance between them more important than logic. Our show is not called "Mélanges" - mixtures - for nothing."